About: With the emerging opportunities in the field of science and Tech, the importance of mathematics has become indispensable. Now-a-days mathematics is in use some way or the other in almost all dimensions of the human creativity. The increasing popularity of the said subject and its application has changed the system in manifold ways. Not with standing these positive aspects one thing that hampers the students which we call lack of guidance. The aspirants are the worst suffers of these short-comings. Why should you choose Mathematics as an optional? Often aspirants hesitate over choosing mathematics as optional subjects due to the vastness of the syllabus and the time required to prepare for it. Choosing mathematics has many advantages over any theory or analytical based subject. Mathematics is easy but it requires lot of practice to reach the perfection. Let’s take a closer look at its advantages. Reasons: Familiarity with the subject, Sure shot marks, Highest scoring subjects. How did you divide the time between Maths and General Studies? How many questions you were able to attempt of Mathematics optional? Which topic you have given more priority in Maths? 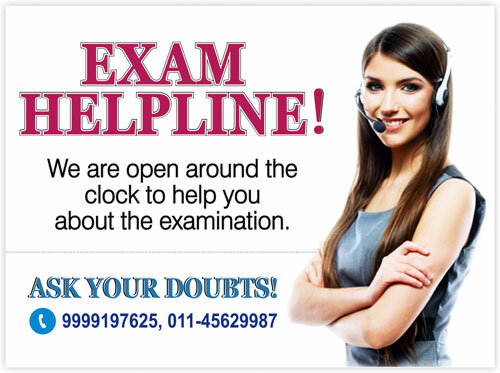 Ask Your Doubts & Get Answers From Our Exam Experts. Every mark in competitive exams like IFoS and CSE counts and the optional subject should provide us the scope to outperform other optionals. I am G. Rohith. I have done my B.E in Computer Science Engineering from BITS Pilani, Hyderabad Campus. 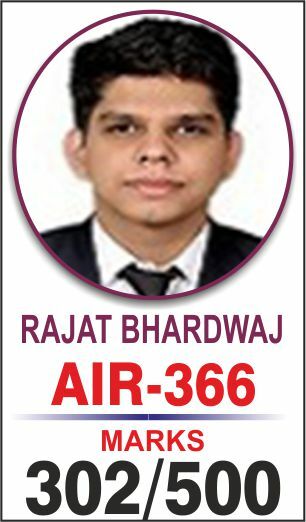 I Secured AIR-35 in Indian Forest Service Exam 2017. I had enrolled into class room programme of IMS (Institute of Mathematical Sciences) under guidance of K. Venkanna Sir. 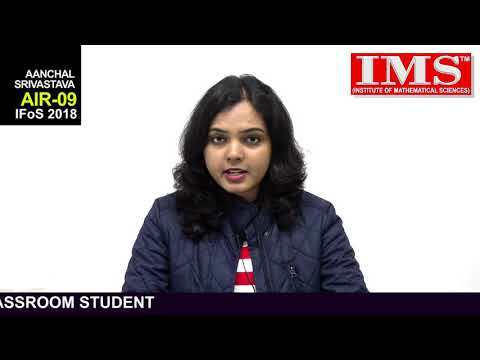 I joined IMS test series and it helped me a lot in understanding my mistakes. 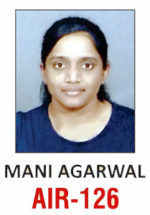 I am Mani Agarwal. 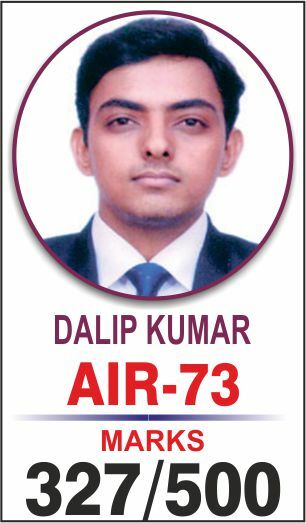 I scored Rank 126 in CSE 2016 with Maths as my optional subject in my second attempt. I want to thank IMS Test Series for the high marks I scored as compared to t he first attempt. 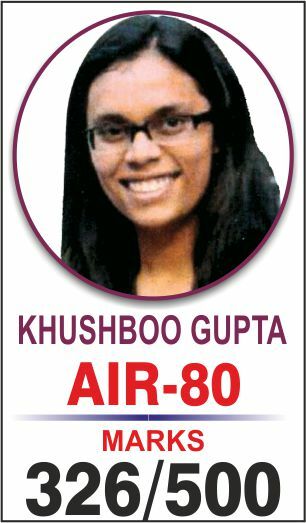 Although I have done my post graduation in Maths I scored low marks in Maths last time and missed the final cutoff by a few marks. Then I joined IMS test series and it helped me a lot in understanding my mistakes. Weekly tests and answers are posted online. This gives the aspirant some flexibility. Notes prepared by Venkanna Sir will make your preparation easy and focused as different topics. Hello Everyone I am Dipesh Malhotra. I have done my B.Tech in Civil Engineering from IIT Roorkee. 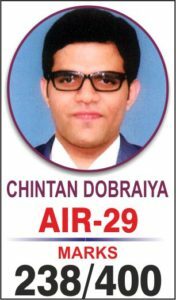 I have given Civil Services Exam and Forest Service Exam, 2016. 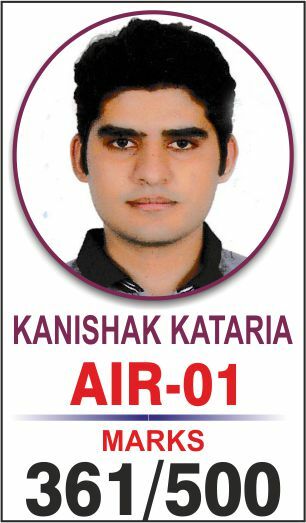 I have got AIR 30 in Indian Forest Service Exam and waiting for my final result of CSE, 2016. I have taken coaching through classroom programme of IMS under the guidance of K. Venkanna Sir. The test series is very crucial when you are revising and doing the final preparation for the mains. I am Padmanabh Baruah. I graduated in Mechanical Engineering from IIT Guwahati in 2013. I started working in an MNC after my graduation and worked there for about 5 months. After that I went home and stayed for 6 months. It was during this period that I started thinking about what career option I should undertake. 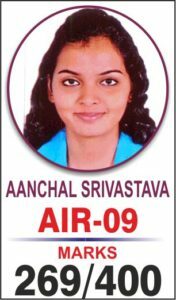 After much thinking and deliberation, I came to the conclusion that I would try to get into the Indian Civil Services and it was from here that my journey for Civil Services start. Test Series along with practice helps in finding out your strong and weak areas. I chose Mathematics because of two reasons. First, since childhood I have loved maths. Second, I did my BTech and masters in computer science but computer science is not an optional and the closest optional where I could use my knowledge of computer science was maths. 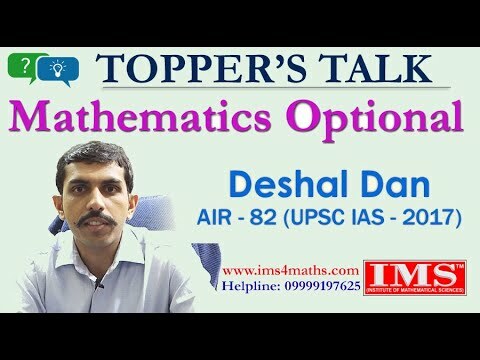 Maths is a great optional and once you have covered syllabus decently, you can expect basic minimum marks of 220 which are not guaranteed in humanities optionals. Test series conducted by IMS was very effective in covering all the sub topics of the syllabus and simulating exam like conditions. Hello, My name is Prateek Jain. I would like to thank Venkanna sir for all the guidance he gave with regard to mathematics optional. The study material provided by IMS was very helpful to cover the syllabus thoroughly and to get a good conceptual clarity on the topics. 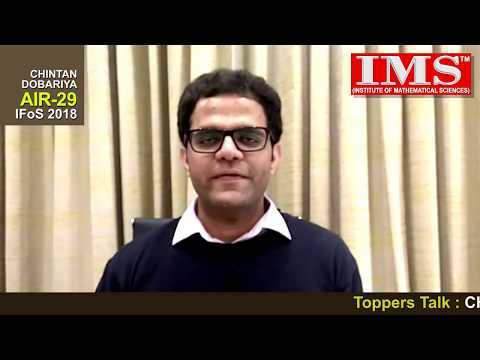 Also, the test series conducted by IMS was very effective in covering all the sub topics of the syllabus and simulating exam like conditions. Well prepared Notes and Test Series has given me a way to cover the entire syllabus in time bound fashion. I am really thankful for providing me your valuable time. Because of that only I scored 409 marks in Mathematics. You helped me in covering the subject holistically. And your well prepared Notes and Test Series has given me a way to cover the entire syllabus in time bound fashion. The Test Series was meticulously devised which gave me a examination like feeling. 11th May 2011 , 3:17 pm, a click of mouse & life changed. And it changed drastically for betterment. Cracking the civil services is not easy. Being a Mechanical Engineer I was tempted towards these optionals but I faced difficulties in some of the areas of Mathematics like Modern Algebra among others, But with the kind guidance of Sri K. VENKANNA, Sir of the Institute of Mathematical Sciences it become a lot earlier and some sort of fun. The test series was meticulously devised which gave me a examination like feeling and my final performance was not too different from those in the test series. 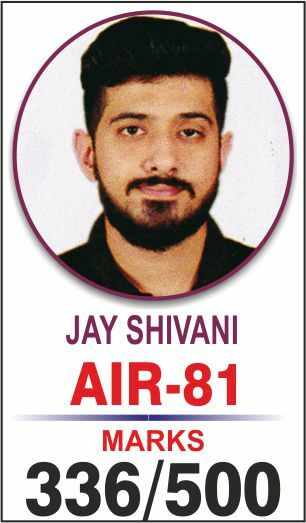 The 24x7 sort of guidance and motivation provided by Sir was of immense help and I thank him, besides my father, mother, wife and friends for this rare piece of achievement in my life bestowed upon me by the almighty. With correct investment of time and energy, it can truly become flag-bearer of an aspirant’s Civil Services Preparation. Mathematics has in recent years shown upward thrust in marks as compared to other optionals. With correct investment of time and energy, it can truly become flag-bearer of an aspirant's Civil Services Preparation. I want to thank K .Venkanna Sir of IMS to give continuous support and guidance, Which helped me achieve excellent marks in Mathematics. If proper guidance and notes is available then high scoring is also possible in mathematics. This year IMS result has proved that mathematics is also one of the mark fetching subject. If proper guidance and notes is available then high scoring is also possible in mathematics. In my third attempt I took personal guidance from Venkanna Sir and consulted few topics from his notes. I found his help very useful and his moral support worked for me. I Suggest Student to take maths as optional and to enjoy it. Teachers like Venkanna Sir who can very well guide you and help you in keeping faith in this subject. 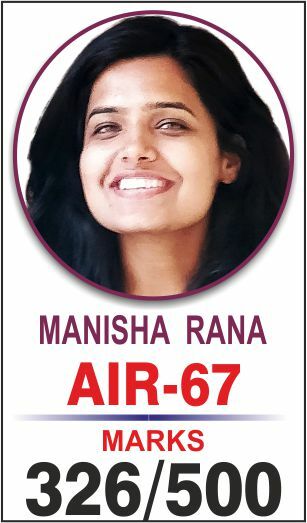 The preparation for Civil Services never was and never will be easy, but with proper guidance and consistent effort one can sail through. Mathematics is a subject liked by few and even those who like it thinks number of times before opting for it, because there is a misconception among the aspirants that science subjects do not fetch good marks, But sincerely telling, if one has any interest in this subject, he/she can freely opt for it. Also there are Teachers like Venkanna Sir from IMS (Institute of Mathematical Sciences) who can very well guide you and help you in keeping faith in this subject. I would thank sir for his continuous guidance and encouraging words that helped me intellectually and emotionally. Also the Study material provided and the Test Series conducted were of immense help. I will continue to look towards him for any help in the future also. Do not roam through many books. Choose one & through the notes provided by IMS. Holistic coverage is essential for securing good marks in science subject like mathematics. IMS institute provides guidance & well prepared notes to cover the subject. Do not roam through many books. Choose one & thorough the notes provided by IMS. I am very thankful to you for providing your valuable guidance in this great success. 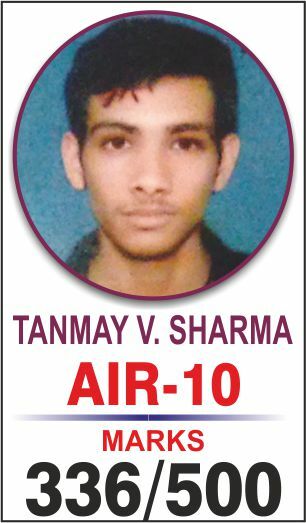 Respected Sir, I feel very proud in informing you that, I have made it through the Civil Services Exam (2011). I am very thankful to you for providing your valuable guidance in this great success. I feel very happy while informing other aspirants that I could not have made it without your guidance which is clear in my marks over the year. Test Series programme was very important in providing a simulated exam environment, which was extreme helpful. 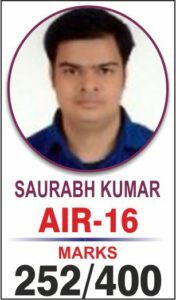 Respected Sir, I feel very happy to inform you that I have achieved AIR-5 in IFoS exam 2011 and AIR-7 in Civil Service Exam 2011. Sir your guidance and inputs were very important in my preparation. Test Series programme especially was very important in providing a simulated examination environment, which was extreme helpful. I strongly recommend Venkanna Sir's classes for Mathematics classes. Heartful thanks for providing me all the support during the course of preparation. Respected Venkanna Sir, I am writing this letter to inform my heartful thanks for providing me all the support during the course of preparation. 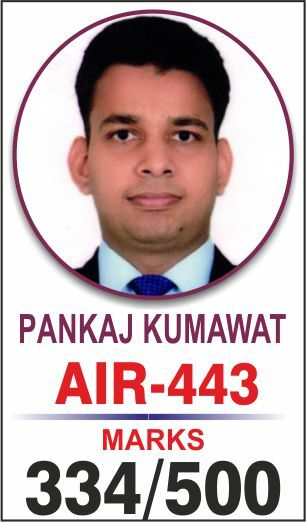 I am very thankful to you for your coaching materials because of which i am able to secure AIR - 48 in IFoS - 2012 exam. Inspiring lectures in Mathematics that evoked my interest and preparation to take challenge with confidence. Respected Venkanna Sir,I owe my success in Indian Forest Service Examination 2012 to your inspiring lectures in Mathematics that evoked my interest and preparation to take challenge with confidence. Many Thanks to IMS and Venkanna Sir. Test solutions are well organised, to help candidate in mentioning all important steps required to the solution of question. I am very thankful to IMS for Mathematics preparation for Civil Services. I joined I.M.S Test Series and written all tests. Test papers are very well prepared, according to the new syllabus and U.P.S.C question paper. Test solutions are well organised, to help candidate in mentioning all important steps required to the solution of question. Test Series helped me a lot to crack Civil Services Exam Thanks! He is great mentor, and guided me not just in mathematics but in other areas as well. I want to thank Venkanna Sir for his continuous guidance and support all through my preparation of civil services. He is great mentor, and guided me not just in mathematics but in other areas as well. Without his efforts and unflinching faith in me, this would not have been possible. Thanks! Detailed solutions helped in clearing complicated concepts and gave new ways to look at the problems. Test Series offered enough practice of all types of questions from each and every topic of all syllabus.Detailed solutions helped in clearing complicated concepts and gave new ways to look at the problems. Conversations with Venkanna Sir over phone were helpful in clearing doubts which arose while studying at home and it also kept me motivated. I think that the Test Series is a must for every candidate with maths optional. Thanks ! Thank you sir for making me understand Mathematics. I am grateful to Venkanna Sir for his invaluable guidance and support immensely contributed to my success. Thank you sir for making me understand Mathematics. Thanks! I owe my success in CSE 2012 to inspiring and practical guidance of Venkanna Sir. 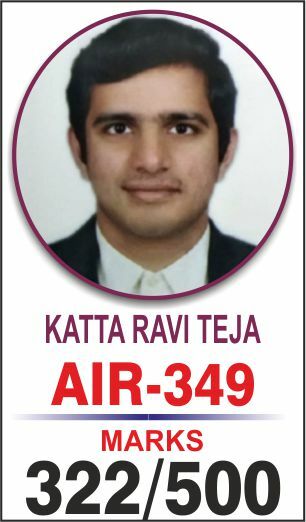 Respected Venkanna Sir, I owe my success in Civil Services Examination 2012 to inspiring and practical guidance of Venkanna Sir.His guidance helped in other areas of relevance to this examination as well. Regarding Mathematics as an optional, i would like to suggest that it keeps up your interest in the preparation especially for engineering and science background student besides being very scoring. Sir made me realised that it is best optional and helped me to prepare not only for Mathematics but other subjects too. I came to Delhi for Civil Service Preparation only to choose mathematics as optional. Venkanna sir made me realized that it is best optional and helped me to prepare not only for Mathematics but other subjects too.I owe my success to sir only. Questions are well prepared and quite similar with the actual UPSC Exam paper in all parameters. 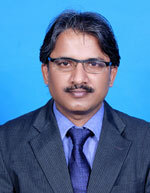 I am very thankful to Venkanna sir for his valuable guidance which helped me in clearing the IFoS-2013 Exam. 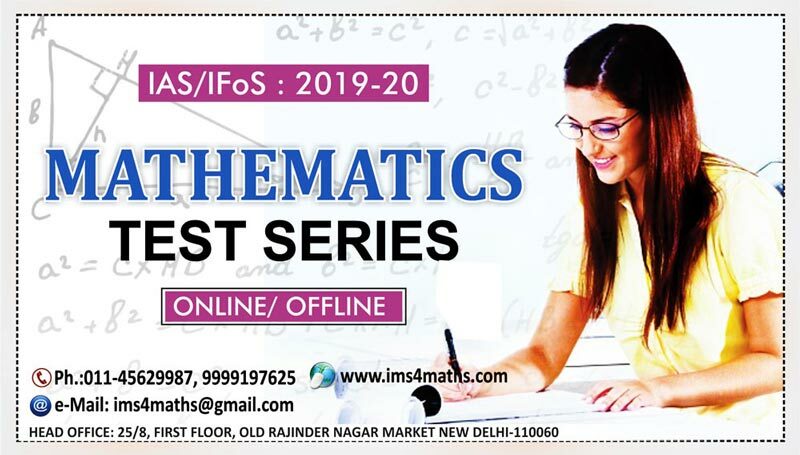 I joined IMS Mathematics test series last year which offered me a lot of practice for UPSC Exam. Question Papers are well prepared and quite similar with the actual UPSC Exam paper in all parameters. Sir your personal guidance helped me a lot and i am grateful to you for your friendly nature which helped me to approach you any time. IMS is the institute to reform with if you opt for Mathematics as an optional. My acquaintance with IMS dates back to a couple of year ago when joined the institute for the test series. During the course of the tests,i came to know about my weak areas.On Sir's advice, I carefully browsed through his notes which indeed proved beneficial. 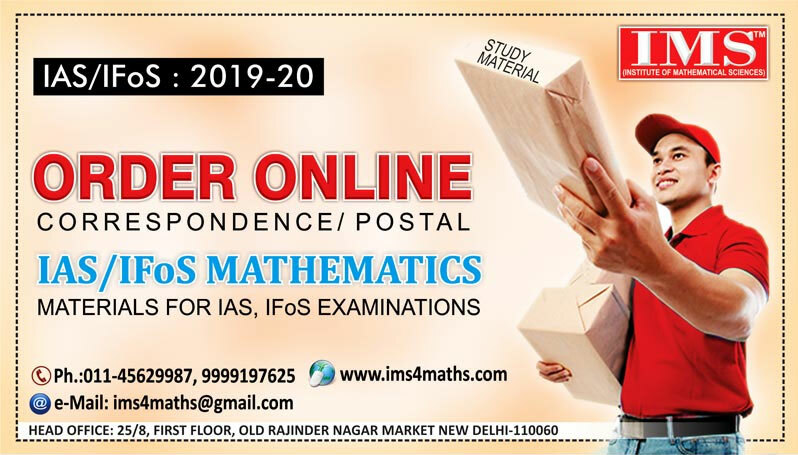 IMS is the institute to reform with if you opt for Mathematics as an optional. Work Hard and enjoy the process! Proper guidance throughout the whole process helped me in analysing the weak points of my preparation. 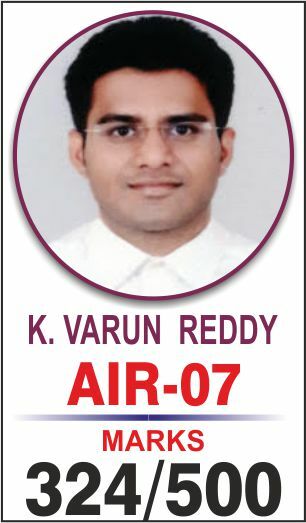 Respected Venkanna Sir, I am deeply indebted to you in getting success in civil services exam - 2012 & getting AIR-76. Your proper guidance throughout the whole process helped me in analyzing the weak points of my preparation.The Test Series helped me a lot only because of your meticulously designed question paper & solution set. I am also very much thankful to you for the hand written booklets for the various topics of Mathematics. I suggest students to take Maths as an optional in this new pattern for fetching good marks under the guidance of Venkanna Sir.Sir has started GS classes also, so i would advice the aspirants that they may join that class also,cause his guidance is immensely good. I will continue to look towards you in future also for any help. Meticulously designed Question Papers / Test Series & Explanation helped me a lot. 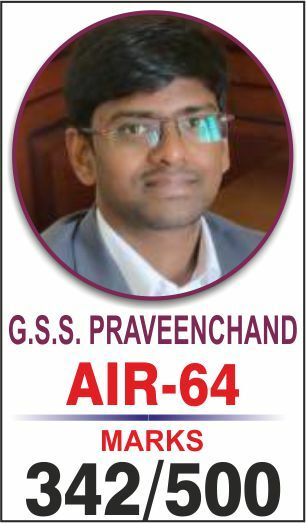 Respected Venkanna Sir, I hereby express my heartfelt gratitude to you for your cooperation and guidance throughout my civil services preparation. The meticulously designed question papers in the test series and explanation of solution thereafter helped me a lot in preparing myself for the mathematics paper in Civil Services Examination. I would be looking forward to your guidance in future as well. Mathematics, in my experience can be a very good avenue of scoring high marks if one is comfortable with it. I am grateful to Venkanna Sir for his guidance and support that immensely contributed to my preparation.I relied almost entirely on IMS Class notes for mathematics for theory as well as practicing.The Test Series gave me an opportunity to test me strengths and find weak points and practice writing answers with due steps. Venkanna Sir has also always been readily available outside the classroom to clear doubts and guide me. Mathematics, in my experience can be a very good avenue of scoring high marks if one is comfortable with it.Moreover,performance will only increase with further inputs which makes it different from many other subjects. It introduced me to new sets of problems which are not available in standard books. 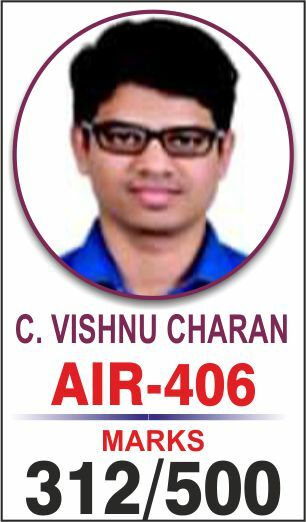 I take this opportunity to thank Venkanna sir for his guidance and help in achieving 318 Rank in CSE 2013. Venkanna sir's Test Series has helped ma a lot for practicing mathematics in exam like conditions.It also introduced me to various new sets of problems which are not available in standard books we refer. With proper preparation, Mathematics optional definitely has edge over other optionals.I strongly recommend mathematics as optional and venkanna sir's IMS Institute for Mathematics. I would urge students to consider IMS institute if they are thinking of taking coaching in Mathematics. I am very thankful to IMS Institute for guiding me in mathematics examination.I joined class room coaching programme and also benefited from test series programme. I would urge students to consider IMS institute if they are thinking of taking coaching in Mathematics. Importance of Mathematics can be judged bu its high scoring opportunities when mathematics scores can make a difference of 60-80 marks as compared to other optional subjects. I attended Test Series of IMS and luckily many questions of Test Series appeared in both IFoS Exam and CSE. 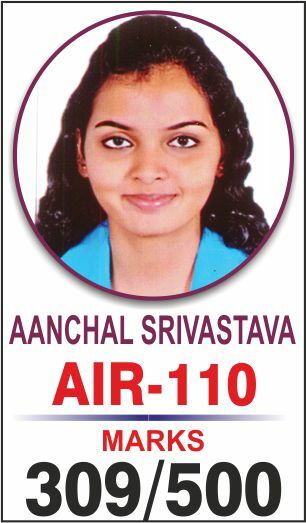 Luckily I was able to clear both the examinations in my first attempt. 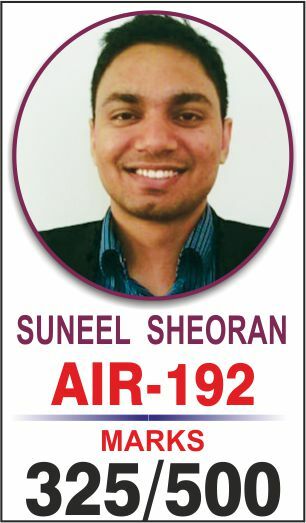 I secured AIR-5 in IFoS-2014 and AIR-299 in CSE-2014. My optional subject was Mathematics. In case of Forest Service Examination, candidate is required to choose 2 Optionals, thus my second optional was Forestry with Mathematics as my first optional. 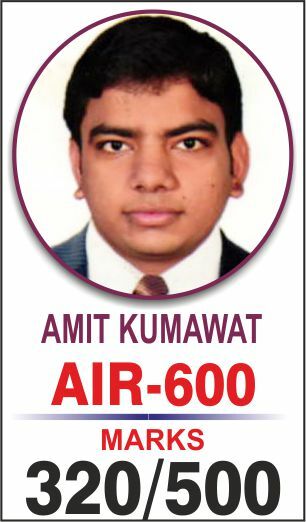 I secured 250/400 (125+125) marks in IFoS Exam and 300/500 (147+153) marks in CSE in Maths. Thus I would give much credit for my success to my correct choice of optional as well as performance in it. 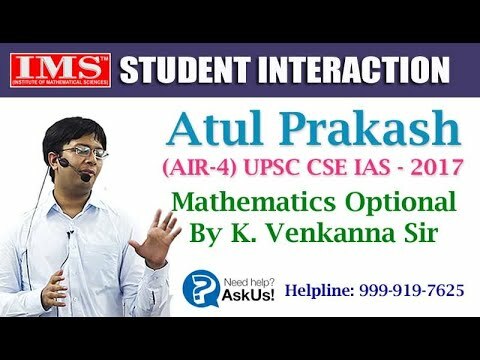 I am writing this to share my experience with Maths as an optional subject and would feel happy if I am able to clear some of the doubts as well as apprehensions regarding it which many UPSC aspirants possess. Venkanna Sir’s classroom coaching helped me in completing the syllabus in a disciplined manner. I am Yogesh Kumbhejkar. I am an Electrical Engineer from IIT Bombay. 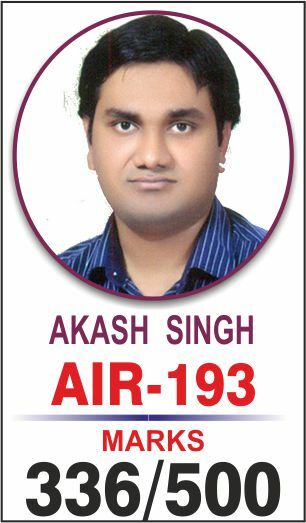 I secured AIR 13 in Indian Forest Service Exam (IFoS) 2014 with Mathematics & Physics as the optional subjects. 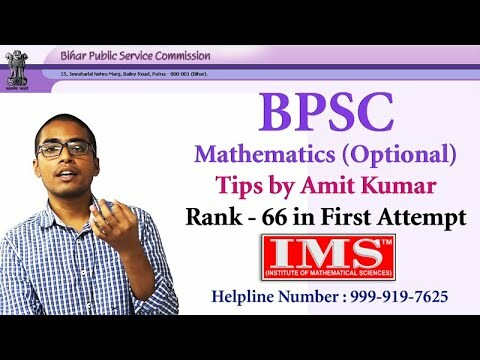 For Civil Service Exam (CSE) also, my optional is Mathematics. In IFoS exam, I scored 231/400 (118 + 113) in maths. In 2013 CSE Mains, my maths score was 250/500 (109 + 141). 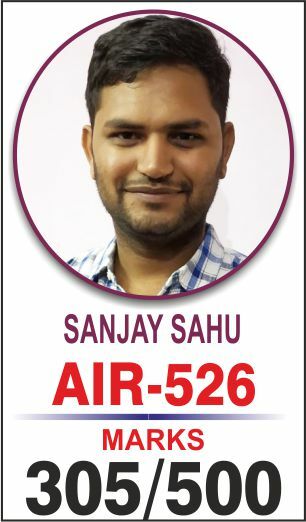 Hence mathematics has helped me in clearing mains in both CSE and IFoS. I was not selected in the final list of CSE 2013. In my second CSE attempt also I appeared for mains in 2014 with Maths as the optional subject. Now i am awaiting the Mains result. 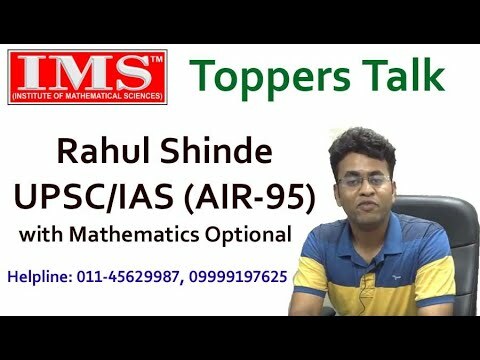 This article is a humble attmept to share my experience of maths optional preparation for CSE/IFoS exam. Almost all questions are directly picked from the IMS Test Series / Standard Textbooks. Math is Extremely high scoring: If you get your maths optional right then you will make it to the final list. 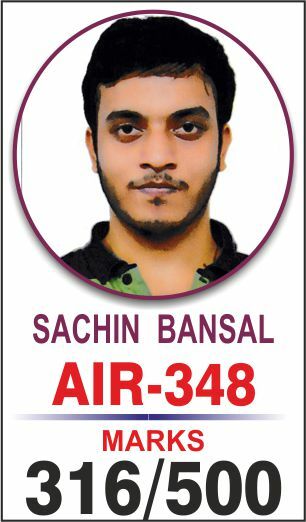 This year one of my batch mate in IMS Nitish K (Rank 8) has got a mind boggling 346 marks. If you have attempted your paper well then you are sure that you will get good marks. For example this year just by attempting 400 marks paper you could get a decent 260+ marks. Even if you don't get good marks in first attempt but you can be sure that you will increase your marks in subsequent attempt(s). Mathematics is a delightful subject and therefore doing maths takes you away from somewhat boring humanities. Join the Revolutionary Learning Initiative by Expert Educators and Feel the Difference.